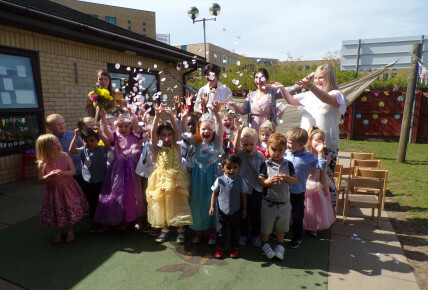 Busy Bees in Newcastle Upon Tyne - Busy Bees Newcastle Royal Wedding Day! 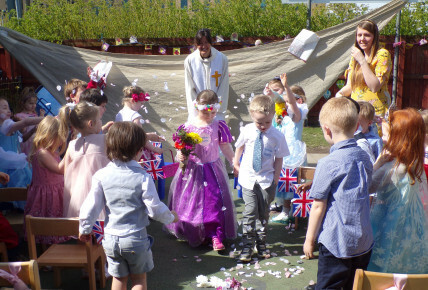 Busy Bees Newcastle Royal Wedding Day! 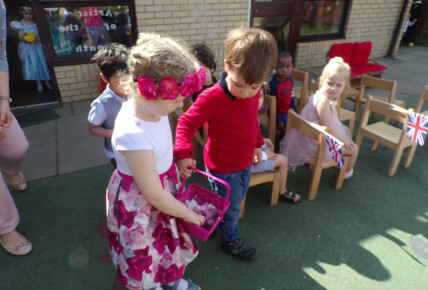 We had an AMAZING day to celebrate the Royal Wedding of Meghan and Harry and what a day! 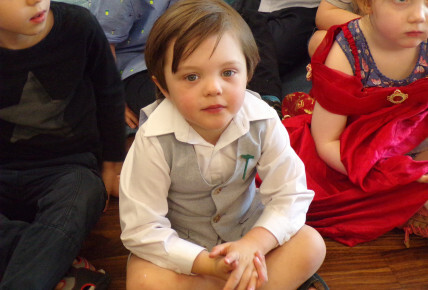 Children in preschool were sent an invitation last week to the wedding of Meghan and Harry (Rosie and Elliot) and a full royal party of HRH The Queen, Prince Charles and many more royals too were present. First thing in the morning we had a telephone interview with BBC Radio Newcastle who were interested in what we were doing on this special day. We were asked questions about what the dress will be like, where will they go on honeymoon and much more. We listened to this later and it was really good fun! The children welcomed Rev. 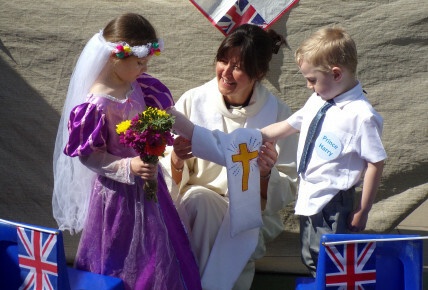 Julie Mooney, the Vicar of Church of the Good Shepherd in Battle Hill, to join us to tell us a bit about what she does at weddings and she took the 'service' for us. 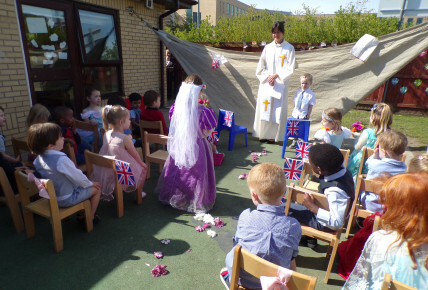 The fanfare was heard when the Queen came in and after the vows all of the children sang a rendition of Twinkle Twinkle. Confetti was thrown enthusiastically followed by the official photographs. A Wedding Breakfast followed with a lovely meal, speeches, a big 'cheers' and the cutting of the cake! In the afternoon there was music and dancing, games and afternoon party tea! W really know how to celebrate at Busy Bees Newcastle and we had a FANTASTIC day!